These are the words of Jesus to His disciples following His great miracle of provision; the feeding of 5,000 with five loaves and two fishes. These words encapsulate the value that Jesus places on the very things which we so often cast away. They also serve as a command to all of His disciples today. This was the theme of last weeks West-Africa Sub-Regional Conference. 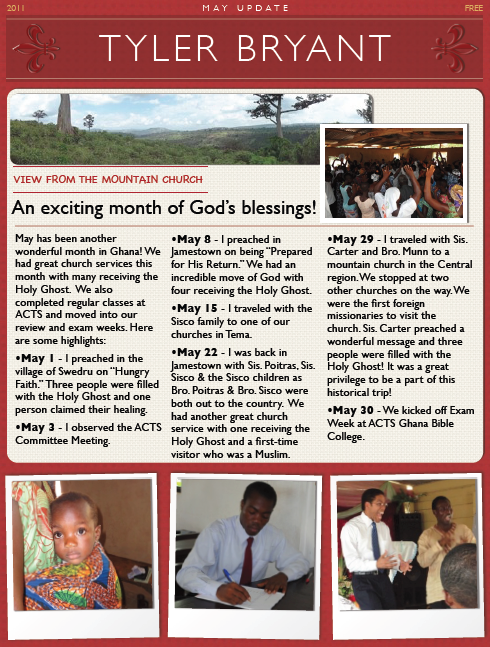 There is a great harvest in West-Africa and it is not God’s will that any should perish. He is calling His people to gather up the fragments. This is why Christ died at Calvary and it is the purpose for preaching the Gospel. Rev. 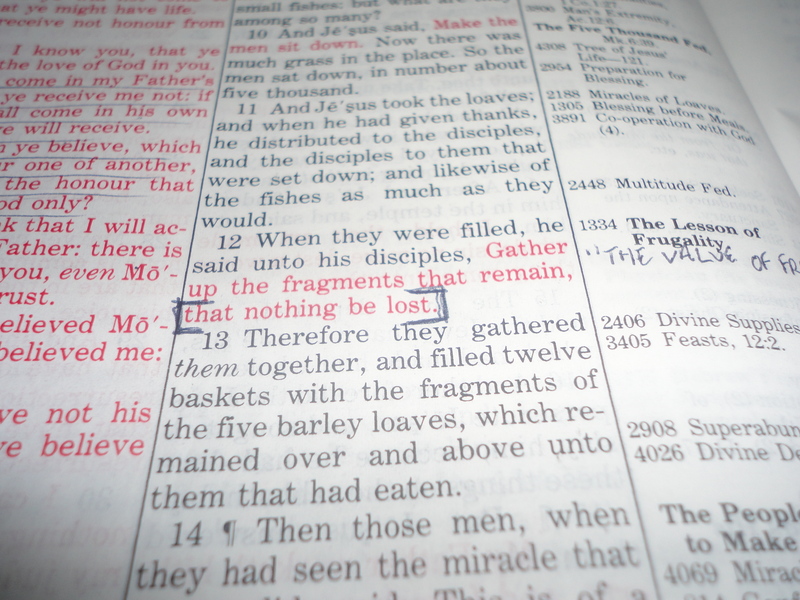 Adams, Missionary to Benin/Gabon/Togo, made mention of another Scripture which demonstrats the value of every fragment. Just as the shepherd will take out of the lion’s mouth a leg or an ear, so will the Good Shepherd go to the mouth of the lion to take out the fragments that remain. “The devil, as a roaring lion, walketh about, seeking whom he may devour” (1 Peter 5:8), but the Good Shepherd never allows him to have the final victory. Even if all that is left of the lamb is two legs and a piece of an ear, the Shepherd will gather up the fragments, that nothing be lost! Disciples of God, let us fill our basket with fragments! 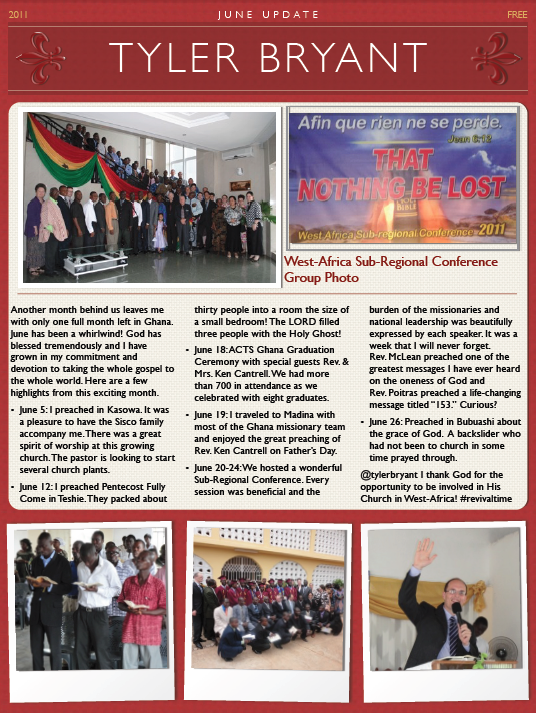 Here are a few pictures from West-Africa Sub-Regional Conference last week. I’m sorry, not everyone’s picture made it in. The internet was moving mighty slow to get these pictures uploaded! One of the most impacting sessions was the Regional Missions Presentation given by Sis. Colleen Carter. She did a wonderful job of presenting the importance of reaching into the nations in West-Africa that do not yet have a United Pentecostal Church assembly or preaching point. I would like to share this need with you. Please pray that the door would be opened for the whole Gospel to be taken to these countries! These nine countries represent 44,321,478 people who need to hear the Apostle’s Doctrine; 44,321,478 people who do not have an Apostolic church to attend; 44,321,478 people who need to hear the Truth about Jesus. Let me bring this close to home; imagine there were no churches in Indiana, Illinois, Ohio, Kentucky, and Michigan. Roughly the same number of people would be effected. West-Africa needs missionaries and A.I.M. workers. Please pray that God would send forth laborers into this immense harvest field. 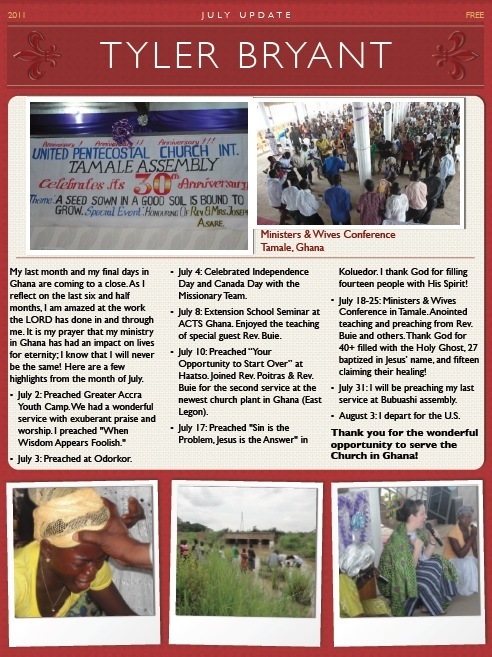 If you feel a call to missions, please prayerfully consider coming to West-Africa. God is revealing His unseen Church! I visit a church in the town of Kosoa this Sunday. The people came ready to worship and hungry for the Word of God. This congregation has filled their current building to capacity. Rather than build a new building, the pastor has vision to plant churches throughout the town and surrounding areas. Please pray that the LORD would raise up leaders and make provision for this to come to pass.